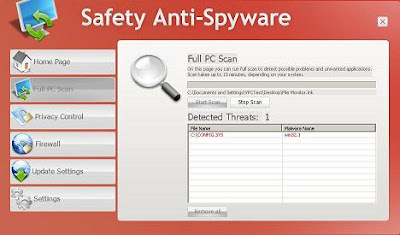 SafetyAntispyware is a new rogue anti-spyware application. However, the functionality follows the same pattern as other rogues. First, it will detect some fake infections. 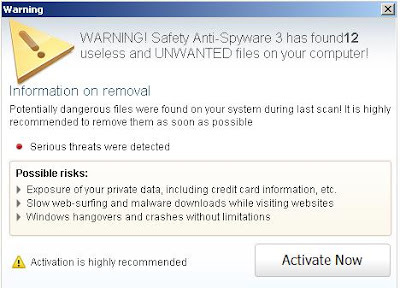 Then it will ask the user to license the product to remove these “threats”. It will also keep reminding the user about these fake infections and will urge the user to activate the software.